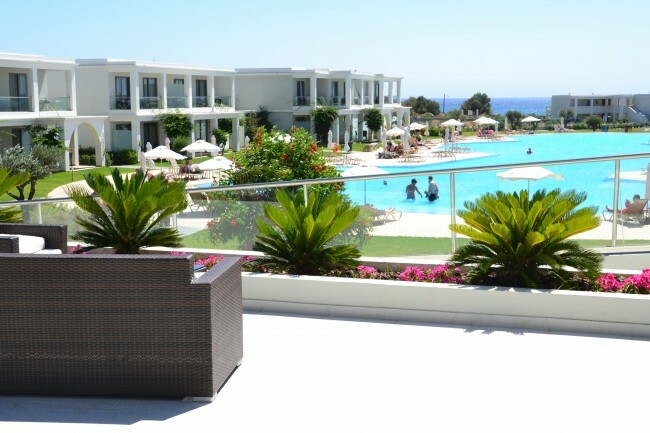 We had the most amazing holiday with Mark Warner at Levante Beach Resort in Rhodes back in July. My husband has said over and over it’s the best holiday he’s ever had and thats quite a compliment as we’ve been lucky enough to have had some great holidays over the years we’ve been together. Everything about a Mark Warner holiday is easy and stress free. 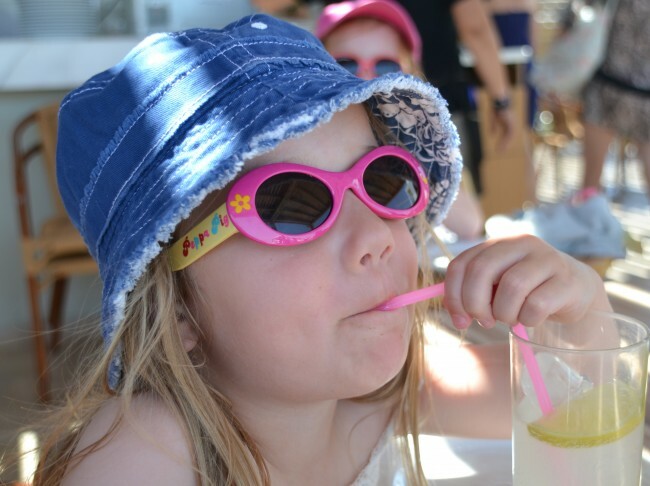 The transfer to the beautiful resort was seamless, we were greeted with much needed drinks and watermelon on arrival much to the delight of the kids, check in was fast and efficient and our bags were brought to our rooms within 10 minutes. We even managed to squeeze in a quick swim before the welcome meetings. 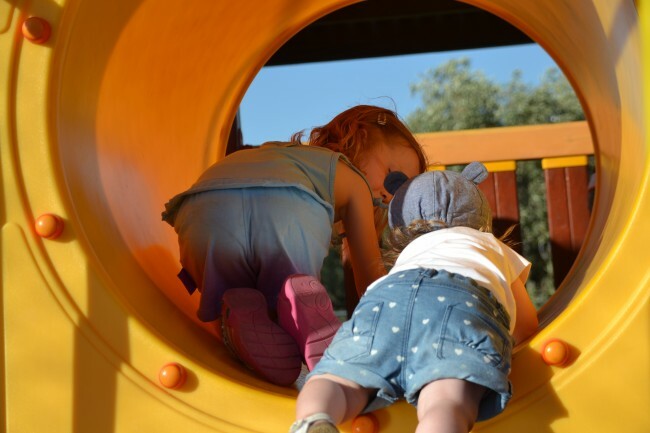 Childcare at Mark Warner is fantastic, I was a little apprehensive before we arrived as we’ve never used childcare on holiday before, but I can honestly tell you it was brilliant, for the kids and for us. For the first time in 7 years we had a little time to ourselves which we filled with relaxing, exploring and learning new sports on the waterfront. For more details see my post about childcare here. Levante is situated on Rhodes’ longest beach, Afandou. It’s absolutely beautiful and spotlessly clean. Our suite fitted the 5 of us very comfortably with lots of space. It was cleaned to a very high standard and towels ( including beach towels ) changed daily if you needed. While the restaurant was always nicely busy in the evenings the resort seemed very quiet by day. We didn’t have any problems booking tennis courts or watersports, everything was very available. We had planned to visit Lindos and Rhodes town, but there was just so much to do we didn’t have time. The pools Levante has 5 pools. We spent most of our time in the main pool and the children’s paddling pool, which was partially shaded. We’d often spend the hottest part of the day in the indoor pool which the kids loved. There is also an adults only pool and pool with a bar both of which we didn’t use but always looked very calm and peaceful. 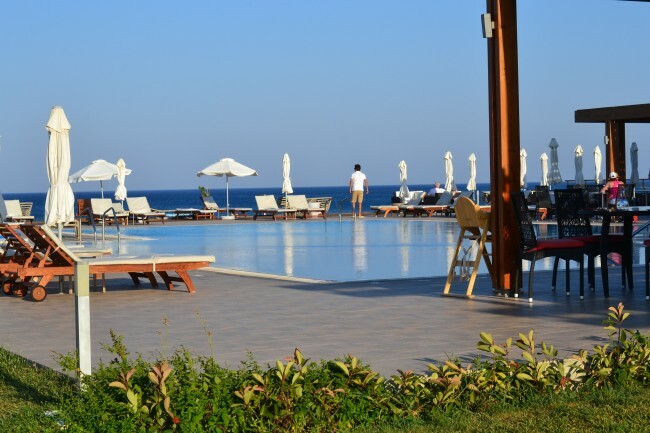 Levante beach resort offers pretty much every sport you’d expect most of which are included in the holiday price. Between us we did an introduction to windsurfing, refresher sailing course, tennis lessons, kayaking, aerobic classes and bike rides. A wide variety of exercise classes are offered at Levante including a morning run or sunrise stroll, aqua classes in the adult pool as well as circuit training and body pump. I tried a circuit class on our last day and really wished I’d gone earlier in the week, exercising outdoors with the wind blowing through was just lovely. 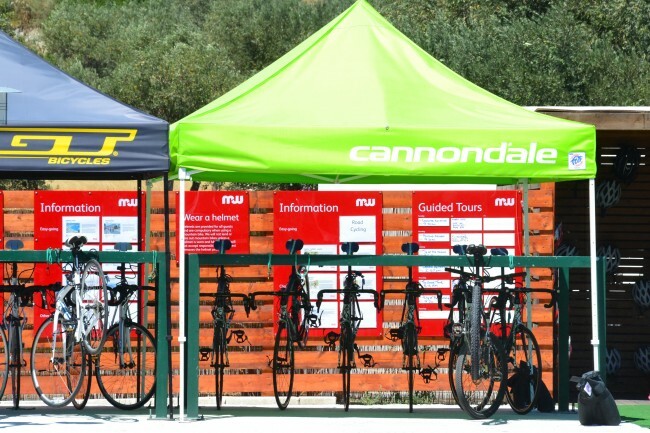 Mountain bikes are available free of charge or road bikes for a small extra fee. We just used the mountain bikes which were perfectly fine for the rides we did. I tried an organised ride one morning which went at a lovely pace and gave me chance to see a bit more of the island than I would otherwise have done. There are also much more challenging routes available for experienced riders. The guides were all very friendly and always on hand to help. 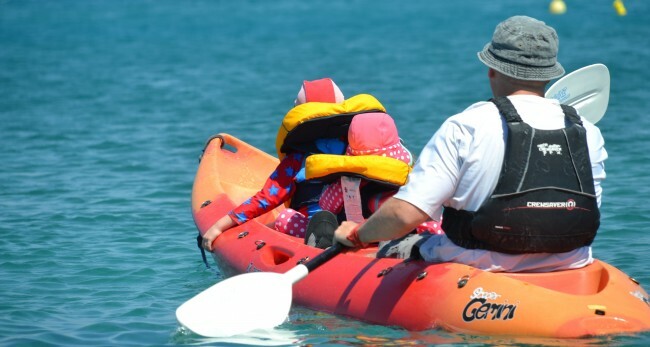 I found kayaking the easiest of the watersports and spent a lovely couple of hours kayaking with my husband or the kids, the sea was so clean and cool, it was just amazing to spend time there. 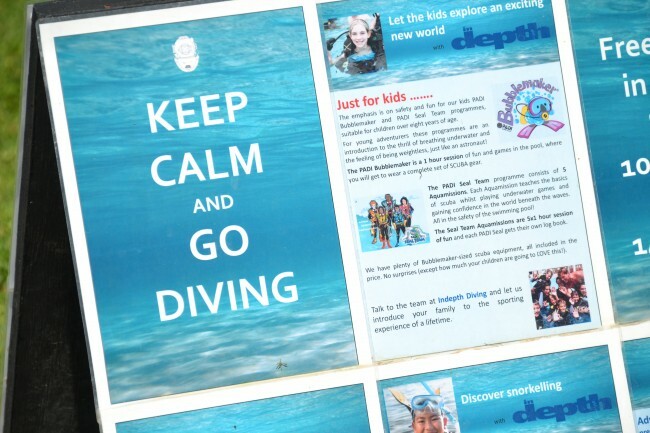 In association with Mark Warner a company called Depth run all of the diving activities. These range from the free try dive to gaining full PADI qualifications in a wide range of diving activities. Rob did intend to try to gain a PADI open water certificate, but this required 2 days of theory and pool practice and then four open water dives. As this was our first Mark Warner holiday and we really wanted to experience a wide range of activities we decided that, on this occasion we couldn’t fit everything in and a PADI qualification would have to wait. The try dive was a brilliant experience. You are taken into the pool with all the gear immediately with an instructor. After a few brief instructions we submerged and got to swim up and down the pool breathing through the apparatus. It was a very calm and interesting 30 minutes, managing your own buoyancy and getting used to breathing from the mouthpiece. I have never been snorkelling before and the thought of going to a secluded bay to snorkel with my boy was an exciting one. Reasonably priced at €50 we were asked to meet at the dive school area on the Tuesday afternoon. When we got there we were given fins, a snorkel and a mask and were led down to the waiting boat. The boat is rented from a local owner who ferried us to our first location. Alex our instructor gave us a few tips and we all climbed down into the water to explore, quite freely some caves. Z was pretty nervous to start with and (I thought) he soon got the hang of breathing through the tube. At one point he lost a flipper which started to sink to the sea floor, but luckily I was able to rescue it and quickly learned how to clear my snorkel! In hindsight I should have shared this knowledge with Z. There weren’t many fish at this location but swimming through the caves was pretty cool. We were then taken to a second bay where there were a lot more fish and some rock/coral features to explore. Z however had become quite cold and was less keen on going back in. He did come in, but very quickly panicked because he sucked water through his snorkel (some practice would have been good I now realise). This ended his dive, but not his fun. When it came time for me to go back in on my own to explore (leaving Z with the instructor and some other children) the kids wanted me to jump off the boat. One of them suggested that I do a back flip off the boat, and suddenly they were all chanting – I of course duly obliged (more to my own surprise than anyone elses) and became an instant hero with my boy. If only I had taught him to clear his snorkel though! In summary it was an excellent experience and one which I would do again, possibly with a bit more preparation for a young child. Some dry clothes and a bit of change to tip the boat driver (and buy snacks from the shop) would’ve been good to take along as well. Rob had a lot of fun trying out wake boarding. Being a snowboarder (of sorts) he figured that wake boarding would be fairly similar and the power staff agreed. You pay extra for the power activities which is a slight disappointment however they are awesome fun. Rob started by going out with the instructors to a pontoon to be picked up by the power boat. Once on the boat he was given a short briefing but was pretty much allowed straight out with a board strapped to his feet. The board is like a tiny surfboard with feet straps. The first lesson for this kind of activity is on a boom which stretches out to the side of the powerboat. Rob held on but fell off pretty quickly as the boat picked up speed. The key to wake boarding is to let the board come under your body in its own time before trying to stand up, trying to stand up too early is like trying to stop a racing car with your bare hands. Pretty hard. With this new information Rob was then able to let the boat gather pace, let the board come under him and stand up. 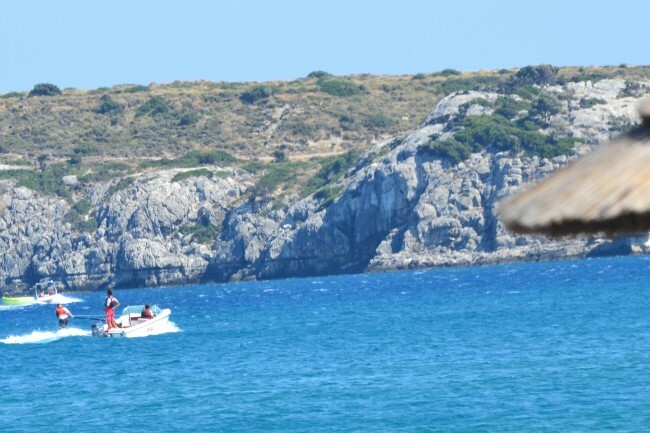 On his second attempt he was stood up (albeit ungainly) and moving along side the boat as we cheered from the beach. After a few more goes he became a lot more confident and could start to turn (like in snow boarding) left and right. 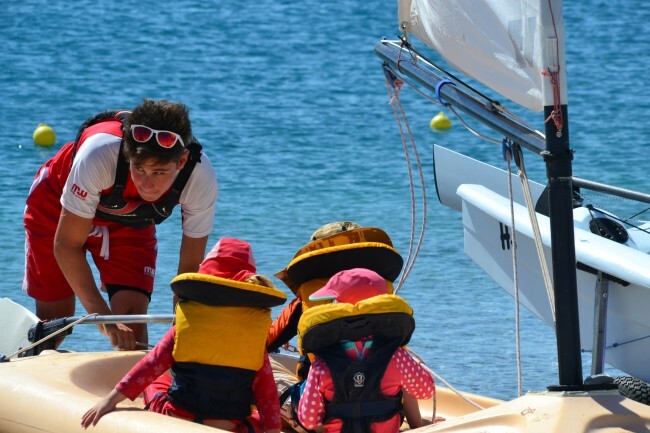 The instructors thought that he stood a good chance using the rope behind the boat. Rob however proved them wrong with his 3 attempts, by which point it was time to return home. He did however have a fantastic time and slightly regretted leaving this activity to the end of the week because he wanted to take some more lessons. Next time this is definitely a skill he will want to master. We thought the beach was great, very clean and had plenty of shade in the form of umbrellas. 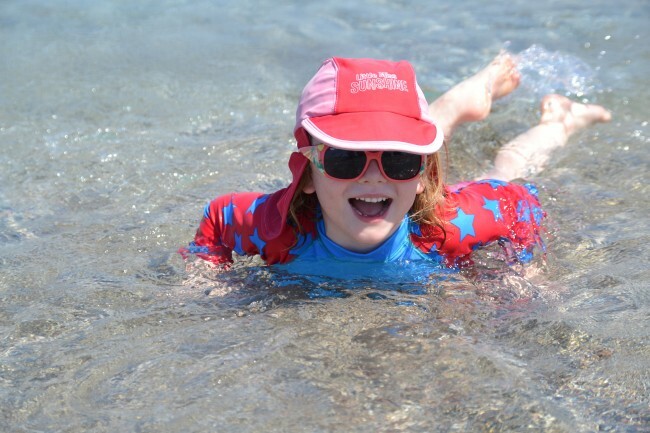 The girls loved building sandcastles and skimming stones in the sea as well as swimming and paddling of course. The Playground Levante has a playground by the tennis courts which was great for passing the time between the kids dinner and our dinner and the perfect place to catch up with their little friends from club. The food at Levante Beach was superb, the variety available was very impressive and the dinner theme changed each night so we definitely didn’t get bored. All the staff were great, chatted to the kids, made them laugh and even knew their names by the end of the week. I can’t emphasise enough what a friendly resort Levante is. We were half board and had breakfast and dinner in Amalthia which is the main restaurant. Breakfast The kids adored breakfast, especially the freshly made pancakes and waffles, finished off with a bowl of fresh fruit. I had an omelette from the omelette station most days which were freshly made as you watched so always tasted delicious. Sausages, bacon, croissants, breads to toast and cereal were also available daily. I didn’t try the tea, but the coffee was fantastic. We had lunch in the poolside Greek Taverna every day, which was a lovely break from the hot sun and a great way to catch up after our busy morning. The five of us had drinks and shared salads, burgers or stuffed peppers ( which I’d definitely recommend ) for between €25 -40 a day. The Taverna was also a great place to chill out with an ice cream mid afternoon. There are three options for dinner, you can eat in the main restaurant, the Greek Taverna or for €15 extra the pan-Asian restaurant Annora. We were so impressed with the food in the main restaurant that we didn’t try anywhere else, but had we been there for longer would definitely have tried Annora. In the evenings we’d drop the kids off at childcare and meet Katie and her lovely husband in the bar for a couple of drinks before going to eat in Amalthia. The atmosphere in the evening was lively and drinks were served at the table if you wanted. The food was fantastic with a huge variety of salads, meat, fish and vegetarian dishes each night as well as very tempting desserts. We really enjoyed our child free evenings and felt very relaxed knowing the kids were all happy in their clubs. It was a great way to wind down at the end of a busy day and we loved getting to know Katie and her family over the week. The children ate between 5.15 and 6.15, but could eat later with the adults too. The kid’s food wasn’t quite as good as the adults, but there was always lots of fresh fruit and vegetables and my three always found plenty they liked. The children’s plastic plates and cutlery were a great touch too. Rob unfortunately needed antibiotics while we were away, but even that was pretty stress free. He saw the onsite doctor at 2pm and had antibiotics by 9pm the same day, there was a charge for this, but we have been able to claim back on our travel insurance. None of us were ready to leave at the end of the week. Z was especially upset to leave his new friends, but it was lovely to see the kids chatting and playing at the airport like they’d known each other for years. The transfer to the airport was just as smooth as our arrival, we couldn’t have asked for an easier journey. All in all we had a brilliant week away with Mark Warner and would love to go back one day. Anya from Older Single Mum and The Healer recently posted..How to Make Curry and The Good Wife Test. This looks incredible! It’s great to see such a detailed round up of everything – answers all my questions and more! That sounds and looks so perfect. We are aiming to go abroad next summer and I am definitely going to take a look at Mark Warner as they seem to geared toward really great family holidays. The more I read about MW holidays, the better they sound! Wow sounds like you had an amazing time! Husband and I love Greece. Never been to Rhodes before. Looks amazing. Sounds like the perfect holiday, so may people have goos things to say about MW – maybe we’ll have to give it a go! Mary Keynko recently posted..How does your garden grow G’ma? It all sounds amazing Emma.A proper relaxing holiday for all the family to enjoy. Oh this is bringing back all those beautiful memories which seem like a lifetime away (even though we only got back from Levante 10 days ago!). 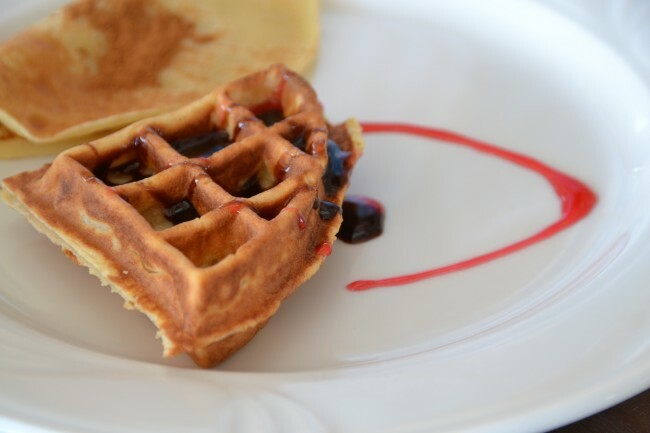 Those waffles (and the lovely man cooking them), the beach, the pools….and you managed to fit so much in. We’ll definitely go kayaking next time! Thank you a bunch for sharing this with all folks youu really know what you’re speaking about!